Rom 13:1-4 Let every person be subject to the governing authorities. For there is no authority except from God, and those that exist have been instituted by God. (2) Therefore whoever resists the authorities resists what God has appointed, and those who resist will incur judgment. (3) For rulers are not a terror to good conduct, but to bad. Would you have no fear of the one who is in authority? Then do what is good, and you will receive his approval, (4) for he is God’s servant for your good. But if you do wrong, be afraid, for he does not bear the sword in vain. For he is the servant of God, an avenger who carries out God’s wrath on the wrongdoer. I am still working my way through the great biography of Martin Luther by Roland Bainton, Here I Stand. Like the Apostle Paul, Luther appealed to Caesar. The Pope had already issued the famous bull (Exsurge Domine it was called from its very first phrase, “Arise, O Lord’) to ex-communicate Luther. The “church” had refused to listen to Scripture and had so corrupted the gospel that men were enslaved to man-made traditions in the most cruel ways. The church needed reform. Luther, having done all he could to confront this corruption, said finally, “For me the die is cast. I despise alike Roman fury and Roman favor. 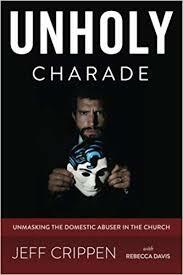 I will not be reconciled to or communicate with them.” Not bad advice, by the way, for dealing with an abuser. He resolved to appeal his case to “Caesar,” that is, to the civil ruler, Charles V. Luther had also written a treatise entitled Address to the German Nobility which called upon the German ruling class as well to prosecute reform in a corrupt church. The question has more than an antiquarian interest, because some contend that in this tract Luther broke with his earlier view of the Church as a persecuted remnant and laid instead the basis for a church allied with and subservient to the state. Luther adduced three grounds for his appeal. The first was simply that the magistrate was the magistrate ordained of God to punish evildoers. All that Luther demanded of the magistrate as magistrate was that he should hale the clergy before the civil courts, protect citizens against ecclesiastical extortion, and vindicate the state in the exercise of civil functions from clerical (church) interference…. The theocratic pretensions of the Church were to be repulsed. Understand? Luther argued, and I agree fully, that when church leaders become evildoers, they cannot run and hide behind 1 Corinthians 6 (i.e., don’t take one another to court) because they, like every human being, are subject to the civil authorities and the civil laws of the land. When those laws are violated, it behooves the God-ordained civil magistrate (the police, the courts) to intervene and punish the evildoers. I continue to encourage abuse victims who have been abused by their churches to such degrees as the civil and or criminal laws of the state have been violated, to prosecute or sue the guilty. To do the very thing Luther did and the Apostle Paul did – appeal to Caesar. That is really what turning to the police or civil courts is – appealing to Caesar to render justice when a “church” has become so corrupted that the sword of the law must be brought to bear upon it. Notice that last phrase Bainton used to describe Luther’s position: “The theocratic pretensions of the Church were to be repulsed.” That is to say, the church has no right to try to establish itself as a theocracy. God has established the church and He has established the state, and both have their distinct realms to function in. Of late we are seeing this principle violated. Church leaders cover up abuse, even child sexual abuse, telling victims not to report the matter to the police. They will handle it “in house.” NO! The “house” is corrupt at that point and it is time for some thorough house-cleaning. Very often the broom is the civil authorities. Never let someone tell you that God forbids you from going to court with your “Christian” abuser to get a divorce. It is not true. God in fact blesses such action. Yes! Arise O Lord, indeed! There is a wild boar in your Church, but it isn’t Martin Luther! It is the little popes who parade as church authorities. The “Christian” celebrity teachers who write their own laws. Wild pigs. Let’s get out of their pig pens.